The right lighting can set the tone for any situation, but the wrong lighting can also kill the mood. Lighting is one of the most impactful investments you can make in your event. It can add drama and ambiance, and draw attention to certain features of your decor. 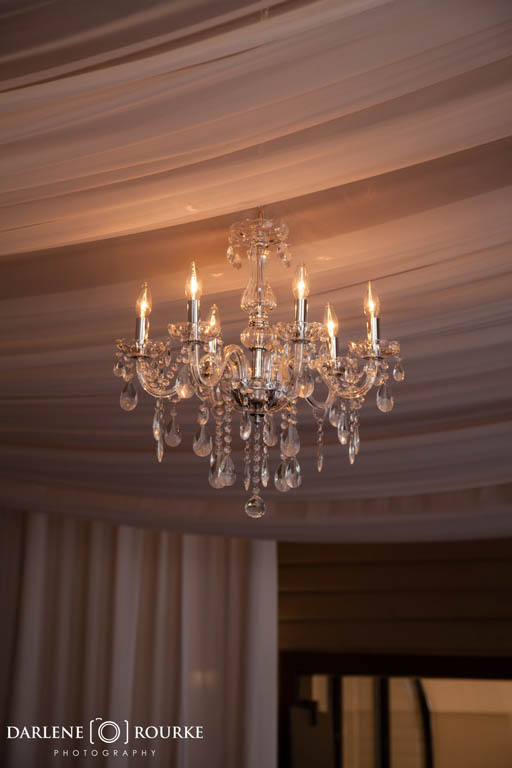 There are many different ways to add lighting to your event or wedding, but we just wanted to show you some of our favourites! To discuss the lighting at your event, book a free no-obligation consultation, and we can even show you some options at our studio! A very popular option right now is industrial café lighting. 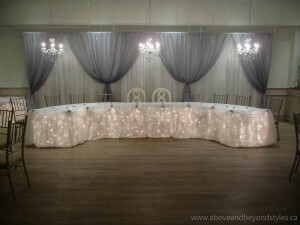 These strands of lights can be hung inside or outside to create a flawless look for your special day. They can add to vintage or modern decor, and create a look that is whimsical and fun! Gobo lighting, also known as “Goes Before Optics” is also a very popular form of lighting at weddings and events. 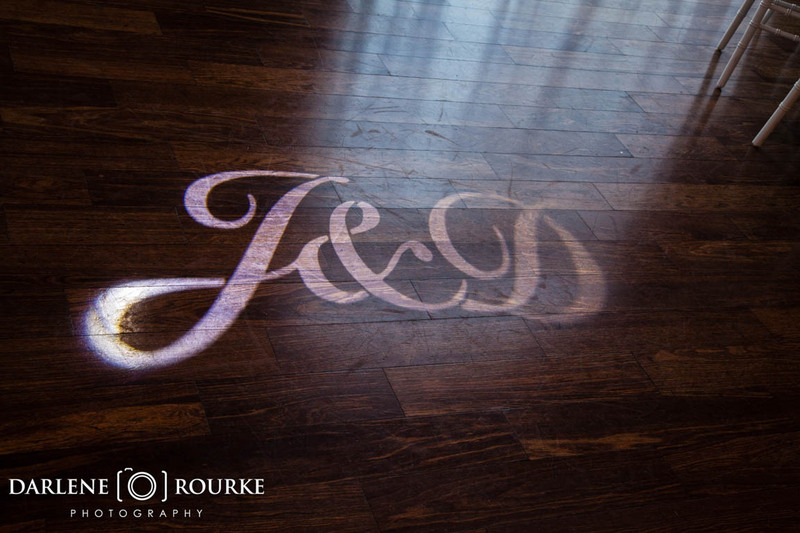 A gobo is a stencil that slides over a light source to project an image onto a surface. 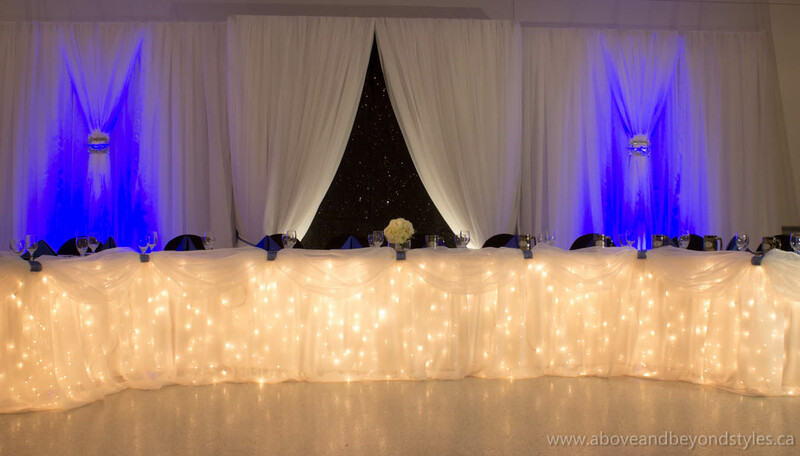 This is a fun way to add your personal touch to the lighting at your event. Stencils can be anything from your initials to dates, or even themed patterns. It is a classy and tasteful way to brighten up a room. 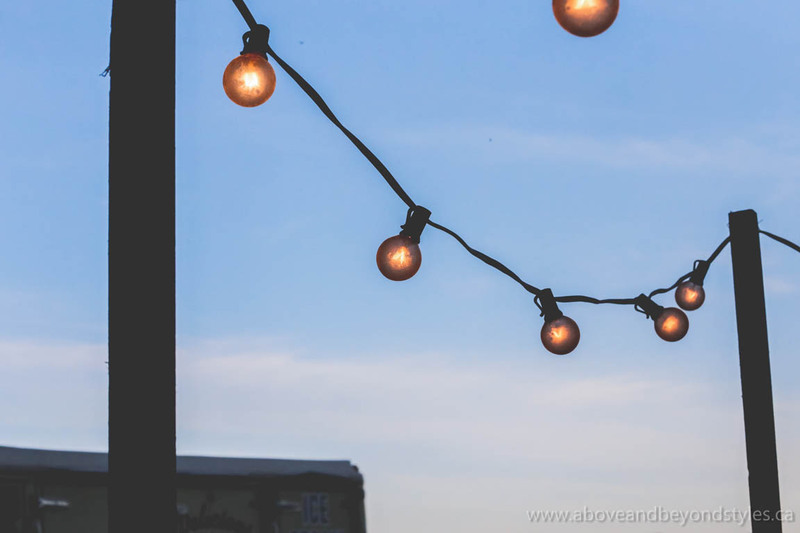 Up lighting is a decor technique where lighting is placed on the ground and aimed upwards, usually towards a backdrop. Intelligent lighting can create lighting arrangements of your desired colour, to match your overall colour scheme. It is a subtle way to brighten your room, but also adds to the look of your decor. Intelligent lighting can also be used in your centerpieces to add a pop of your colour palette to each table. Of course you can never go wrong with traditional candles. 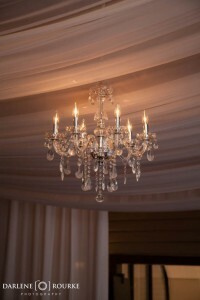 They are romantic and classy, and a timeless piece of decor that will never go out of style. Be sure to choose an appropriate lighting and colour scheme to match the overall tone that you are going for.